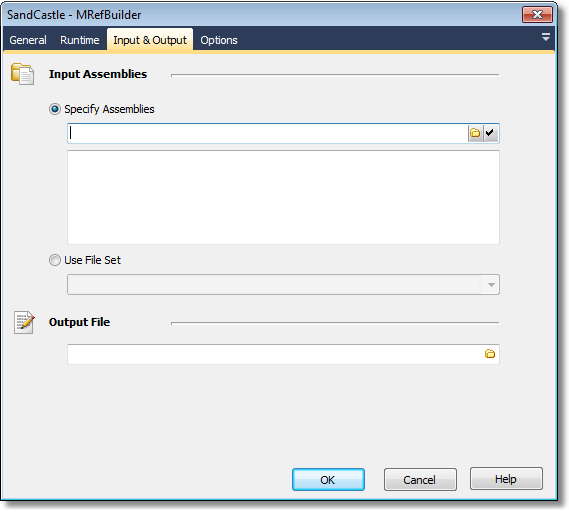 The Sandcastle - MRefBuilder action enables you to reflect over managed assemblies to produce an XML-formatted reflection information file. One or more assembly files to reflect over to produce an XML-formatted reflection information file. The assemblies can be specified on the property page or from a file set. The filename for the reflected information file. The assemblies that are depended on my the input assemblies. These can be specified on the property page or from a file set. Determines whether the output will include API's that are only visible internally. 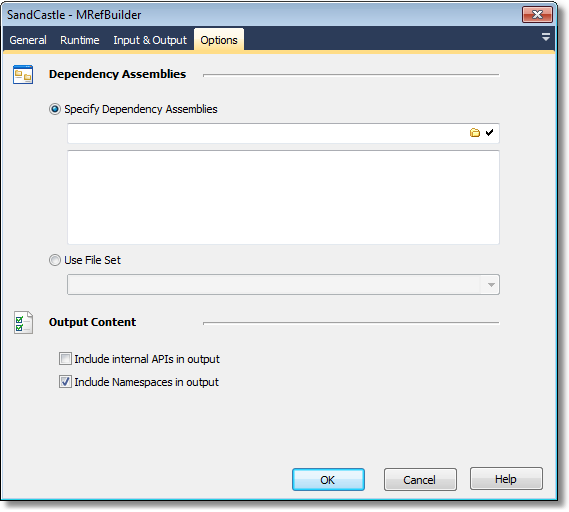 Determines whether namespace information is included in the output.